In thinking about upcoming father’s day, I realized that my father, Giuseppe Gaetano Massaro, who passed away 20 years ago this summer, has been gone nearly half my life. He was not perfect (who is but Jesus? ), but I was privileged to have a father who was dramatically changed by God’s grace and mercy. He taught me to work hard, to do my best, to be proud of my home and yard, but most of all to love and care for my family. 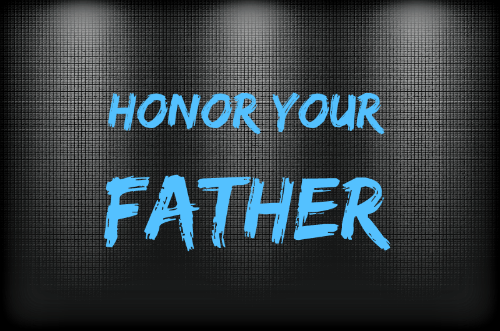 Honoring your father is not an idea from Hallmark or Weber, it’s a command from God. And it’s a unique command, because it also comes with a promise of blessing. I came across this excellent post from Tim Challies and I wanted to share it with you. Click on the link below for the full article.